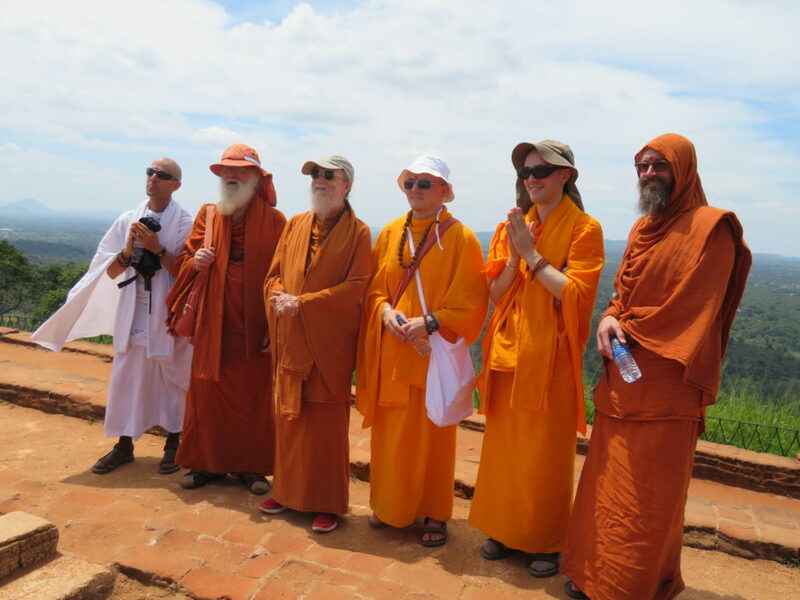 Satguru Bodhinatha Veylanswami (second from left) and Kauai,s Hindu Monastery monks. 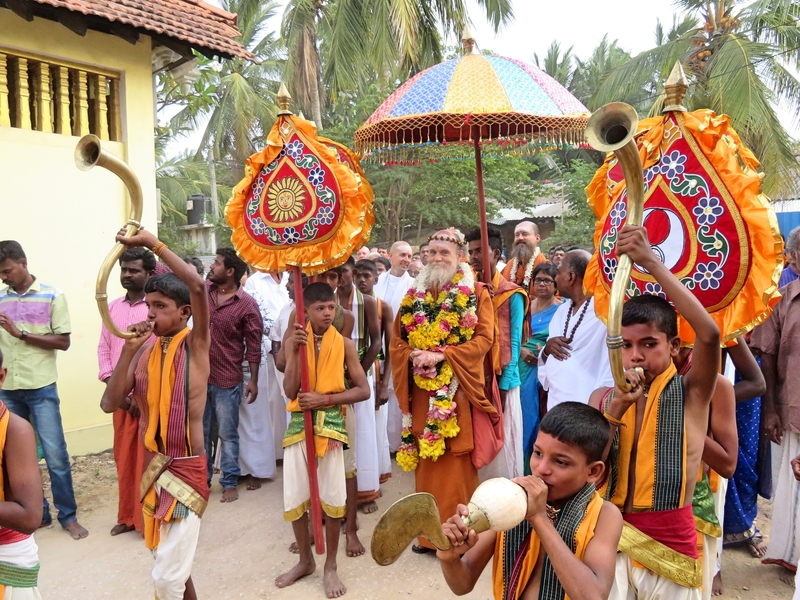 The yatra, called Innersearch, was arranged by the Kauai,s Hindu Monastery monks. Located in Kauai, HI, The monastery, is a traditional South-Indian style temple with a global religious outreach. The resident monks tirelessly produce such worthy products as Hinduism Today magazine, other books, websites, videos, teaching programs and Hindu Heritage Endowment. Fortunately for me and others who seek a deeper understanding of our spiritual path they also teach a course, aptly named, the Master Course. Aside from but not entirely separate from the master course is the Innersearch Travel-Study of which I was blessed to participate. 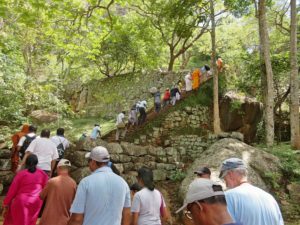 Innersearch is not “just a vacation”, but an experience that combines the mystical path of Hindu spirituality with a superlative retreat from your day-to-day routine”. Quite the contrary, because each odyssey is a venture into the divine and spectacular inside ourselves. I had meant Satguru Bodhinatha and some of the months before when they visited our Satsung group in Phoenix. Also as a master’s student I had contact with Saravananathaswami who provides feedback on our course work. Meeting him in person was a wonderful honor. I signed up immediately when I saw the announcement for a trip to Sri Lanka and counted down the days. To make it even better a friend from our local Satsang group and his wife also planned to attend, however sadly his wife became ill was not able to travel. He came but I am sure he would have loved having her there too. When the day of departure finally arrived, I hugged my dog bade my wife ado and boarded the first leg of my flight which would accumulate in 35 hours total travel time between Phoenix, AZ and Columbo, Sri Lanka. partially to help with jet lag and also we wanted to see the elephant orphanage, and importantly, to purchase proper attire for our temple and cultural visits. The official start of the venture was the following Sunday at 2PM. We had barely time to check in and change into kurta clothes before boarding a bus at 3PM bound for our opening event at Saraswati Hall where we participated in a kickoff parade featuring Swami and then dinner and some splendid entertainment provided by the very talented local youth. The next day we relaxed a bit and visited a local Columbo Shivite temple. I was very deeply impressed with the painting and sculpture work adorning not just that one but all of the temples throughout the island. However I got more pictures from the outside than in because the NO PHOTOGRAPHS IN TEMPLE rules were strictly enforced! On day 3 we drove to a Habarana resort where we had our first satsang consisting of an introduction to the Shiva Sutras from The book The Guru Chronicles, and the four classical great sayings (mahavakya) drawn from the Upanishads identifying the soul with God. 700 steps to climb and the view from the top was well worth it! Each satsang was well delivered and presented in a way that those of us who might not have had some of the prerequisite knowledge could easily understand. In addition our beloved gurus were always close to clear up any misunderstandings. The rest of our visit in Habarana we had enlightening satsangs, chanting, yoga, and meditation. One of the high points was our sansang in Sigiriya Rock Fortress. 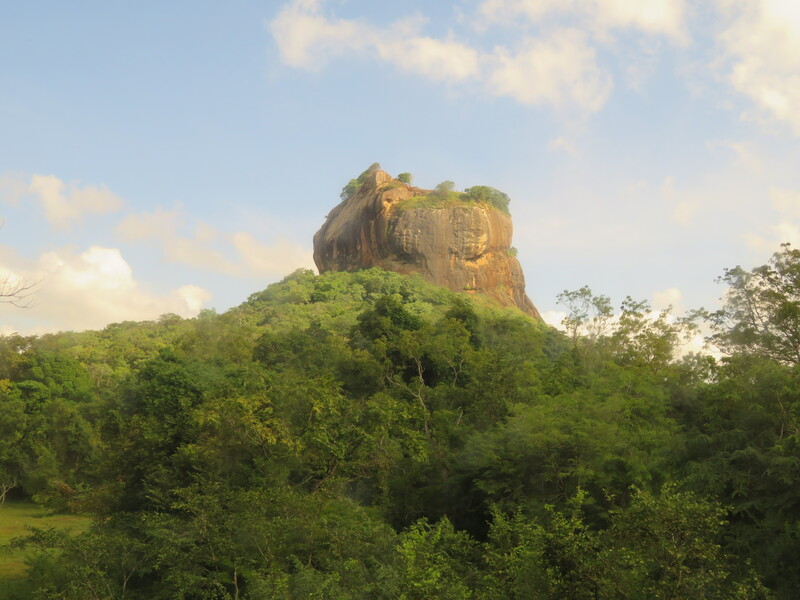 The rock was the royal palace of King Kasyapa who ruled in 477 CE. 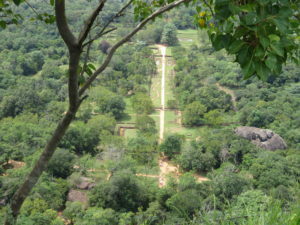 Kasyapa built his royal home on the top of the rock where he installed bathing pools, ponds and royal quarters. It is over 600 feet high and the only way to reach to the top is by climbing narrow stone steps, about 700 of them. Although most of the original structures of the palace are no longer visible there are a lot of ruins that remain giving an idea of what it would have looked like back in the day. Our fifth day began with a meditation class prior to our visiting a traditional Sri Lankan village. That was indeed a peaceful experience. People there choose to live without many of our modern contraptions. It was relaxing to see a place where no one was texting, or were immune to their surroundings due to ear phones stuck in their heads. 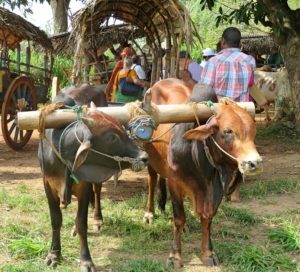 The primary mode of transport were by ox cart! Later the day we traveled down river via of two hull boats paddled by human power. I am told however that several residents have cell phones but the phones are not the sole focus of their lives. 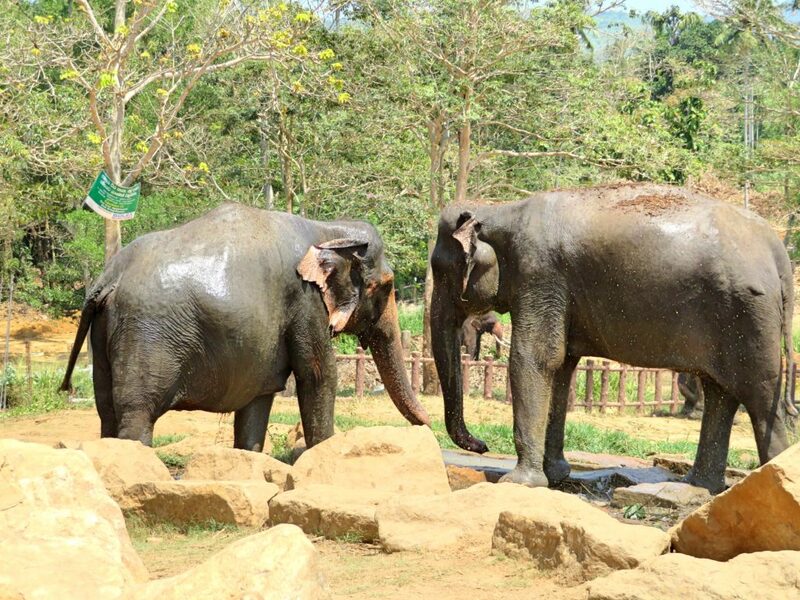 An elephant preserve in Sri Lanka. How wonderful it was to watch them in their natural habitat. The next week we were headed to Jaffna. 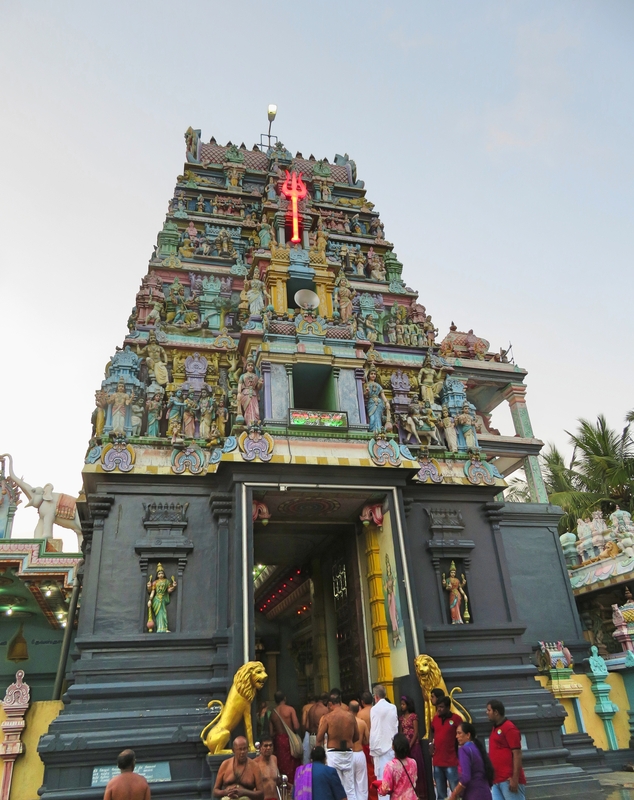 There are numerous Shiva temples in Jaffna and we visited and participated in pujas and arties in many of them. One of the main reasons I became so attached to these places, especially Jaffna is because our guru lineage comes from there. The book Guru Chronicles traced our lineage back to our founder Satguru Sivaya Subramuniyaswami, his Sri Lankan guru Siva Yogaswami and five preceding masters, who all held truth in the palm of their hand and inspired slumbering souls to “Know thy Self. As we visited the houses where they had once lived (The two before Satguru Sivaya Subramuniyaswami) the towns and paths where they once walked and even the bed where one slept, it was a mystical engulfment beyond compare. It was as if I were actually living history. 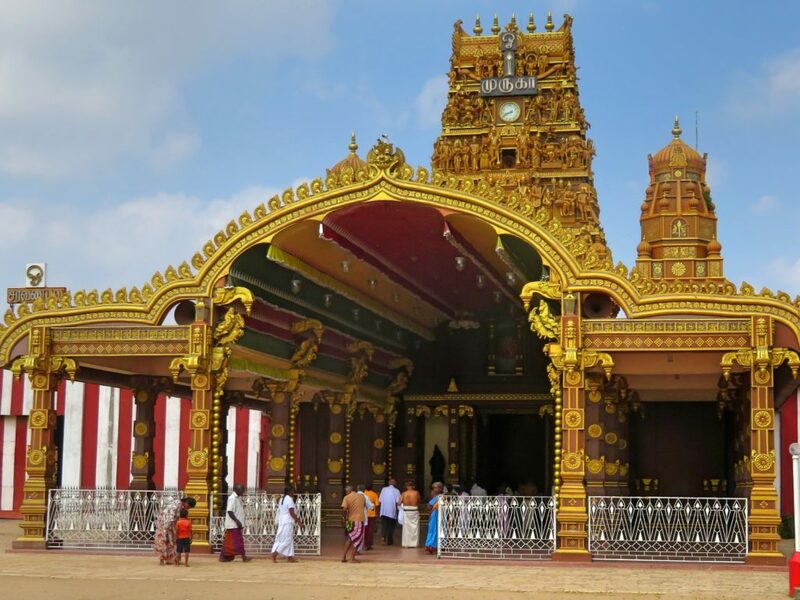 One of the most significant Hindu temples in Jaffna, Sri Lanka. It stands in the town of Nallur. 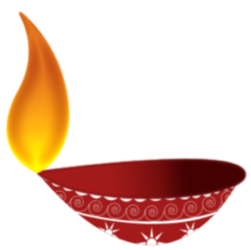 The presiding Deity is Lord Muruga in the form of the holy Vel. An added treat to this auspicious voyage was watching various cultural events that local groups provided. Indian culture is so rich and colorful and it was indeed an honor to have been so sumptuously entertained by these devotees, many if not most of whom also honor Lord Shiva. I could certainly continue and for those wanting to more about Innersearch, The Kauai,s Hindu Monastery or the book The Guru Chronicals here is where to get started https://www.himalayanacademy.com/monastery. Rarely am I at a loss for words, but trying to convey the depth of feeling this trip brought about is pretty difficult. Imagine that you are with 58 other like-minded souls, learning, loving and living Shiva. You walk the path that your guru, his guru and generations back have walked. You don’t have to explain it because well, if you did they wouldn’t understand. 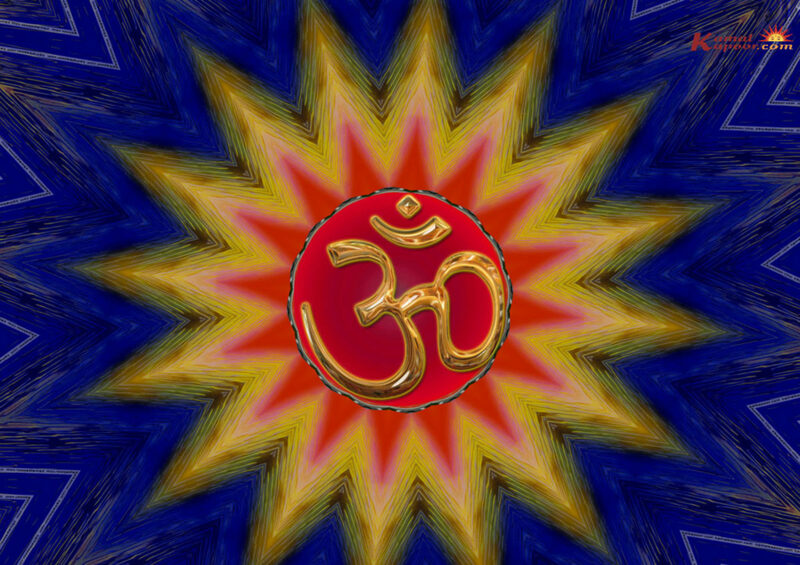 I have altered my personal devotion because I really yearn to merge with God. Our final group picture after a most spiritually uplifting venture. Previous PostPrevious Whats in a Name?